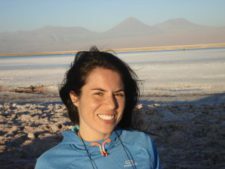 We are thrilled to announce that our director Daniela Moreno Alarcón has finished her PhD! Her thesis, “Tourism & Gender: an essential approach in the context of sustainable and responsible tourism development – the case of Nicaragua”. Daniela finished her work at the Complutense University of Madrid, under the guidance of Dr. Begoña Leyra Fatou and Dr. Paloma de Villota Gil-Escoín. The present research deals with the development of tourism from a gender perspective, which is, at present, an incipient line of research both in tourism studies and in gender and development studies. fundamental to analyze tourism development from a feminist perspective, employing this as a critical theory, so that tourism can contribute in a tangible way to sustainable and responsible development. Today, tourism is one of the most important industries in the world given its economic impact. It is, therefore, envisioned as a tool for reducing poverty. Data at the global level certifies that the tourism sector is feminised, thus it is fundamental to analyze it by taking into account the feminisation of poverty, the feminist economy, the line of research known as the Critical Turn of Tourism Studies, and responsible tourism as a social movement. This research concludes that it is necessary to place gender equality and women´s empowerment at the very core of tourism activities, so that tourism can be developed in a sustainable and responsible way. We hope you’ll join us in congratulating Dani! If you’d like to know more about the research, please contact her directly at daniela@equalityintourism.org.